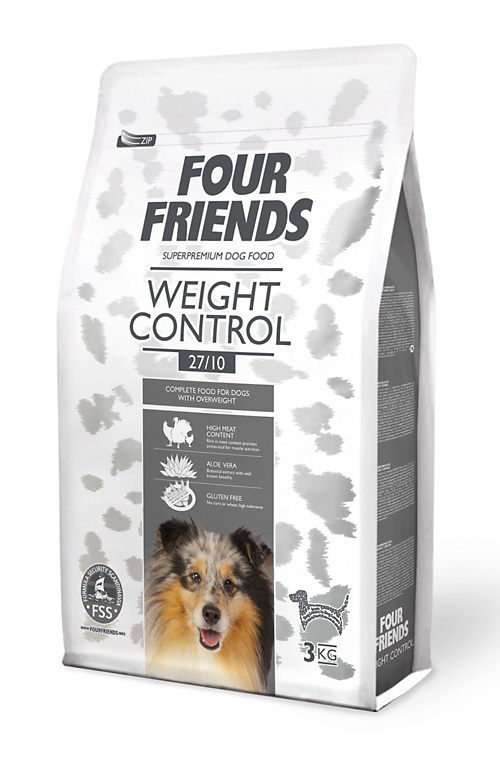 FourFriends Weight Control is a naturally hypo-allergenic food for all overweight dogs. 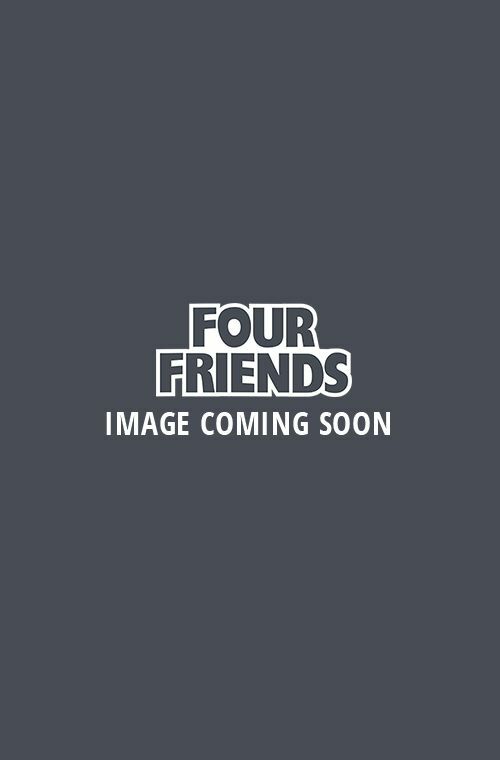 This food is gluten free and contains chicken and turkey meat as the protein source which has less calories, at the same time the high level of protein maintains the musles and keeps up the metabolism. With this food 82% of the total protein content comes from animal origin. 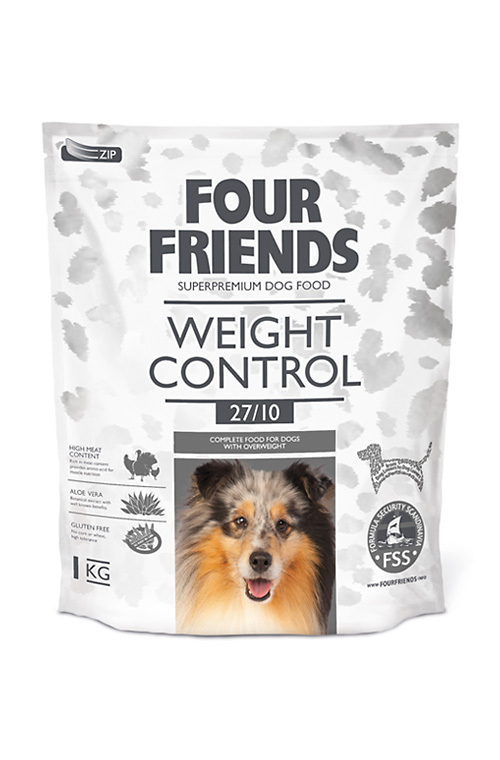 With a 3kg bag costing £14.99, a 12kg bag costing £46.99 and a bundle of two 12kg bags only £80.10 FourFriends Weight Control gives excellent value. Remember you earn Loyalty Points on each purchase. 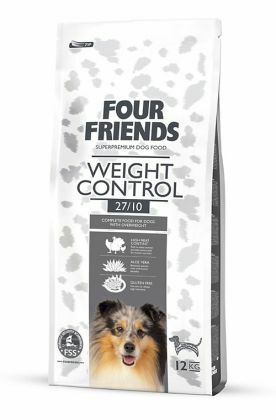 Rice, chicken 23 % (chicken meat meal 13 %, dehydrated chicken 10 %), turkey meat meal 13 %, potato flakes, dried apples, poultry protein hydrolyzed, chicken fat (preserved with mixed Tocopherols), brewer´s yeast, hydrolyzed poultry liver, salmon oil, aloe vera (1,5 g/kg), fruit & herbal extract (300 mg/kg), mannan-oligosaccharides (150 mg/kg), fructo-oligosaccharides (100 mg/kg), yucca schidigera extract (80 mg/kg).